The 8th World Water Forum is the largest international meeting on water and sanitation, and is held every three years gathering governments and central ministers, local and regional elected representatives and local governments. After the last Forum held in Daegu-Gyeongju, South Korea, in April 2015, the 8th Forum will be held in Brasilia from 18 to 23 March 2018. The Forum is expected to be attended by over 30 000 participants, including global leaders, opinion makers, experts and professionals with the objective of catalysing positive change for a water-secure world. 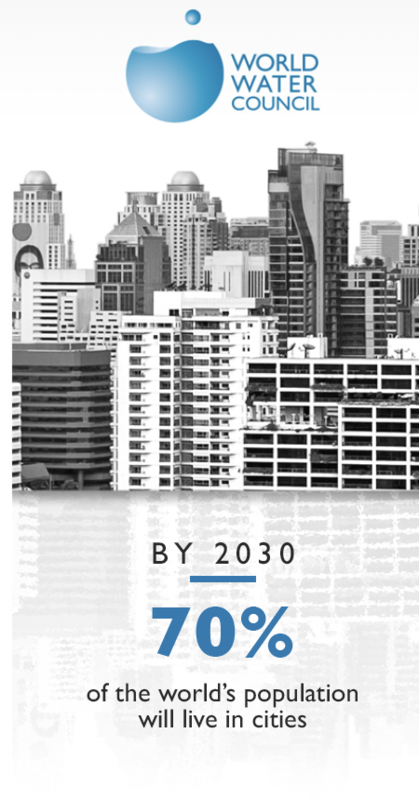 Taking into account that in the next 10 years 70% of the Earth’s population will live in cities, local and regional governments are the first water operators. In light of this, five organizations have joined forces to face the global challenges related to water: (UCLG) United Cities and Local Governments, Local Governments for Sustainability (ICLEI), the Global Water Operators’ Partnerships Alliance (GWOPA/UN-Habitat), the Brazilian Confederation of Municipalities (CNM) and the World Water Council (WWC). The UCLG alliance with these organizations comes into force before the Conference of Local and Regional Authorities for the World Water Forum to be held in Brasilia on November 22. 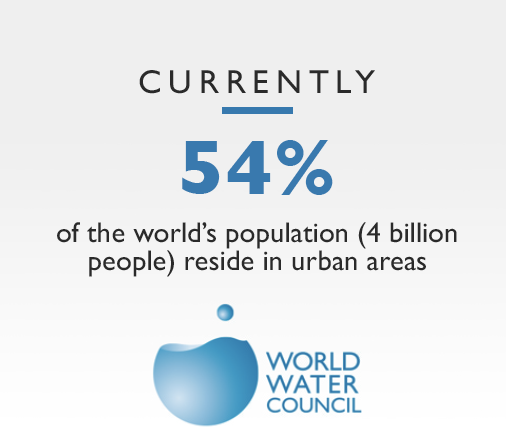 Currently 54% of the world’s population resides in urban areas, this represents a 50% increase in demand for energy and water in cities. This constitutes pressure on water resources is a local challenge that local governments lead with initiatives related to overcoming these water obstacles that hinder global water security. Financing needs should therefore be centered on urban areas and infrastructure in both, urban and rural areas that serve these cities since it is a local need. “Water has a significant place throughout all these agendas. Local Authorities play an essential role in providing services to their citizens and in ensuring adapted and sustainable infrastructure for their residents,” stated Mohamed Boussraoui of UCLG during the recent International Conference on Water and Climate (ICWC) held in Marseille on 3-4 October. Global agreements compliment these actions related to water including the Paris Climate Agreement, the New Urban Agenda, the Sendai Framework and the Sustainable Development Goals (SDGs). These actions are led by national governments, but the success of their implementation lies in the commitment and empowerment of local authorities to develop strategies and adopt approaches to the local reality overcoming political, financial, technological and behavioral barriers. “You can’t find a more intimate link to citizens than Local Authorities. 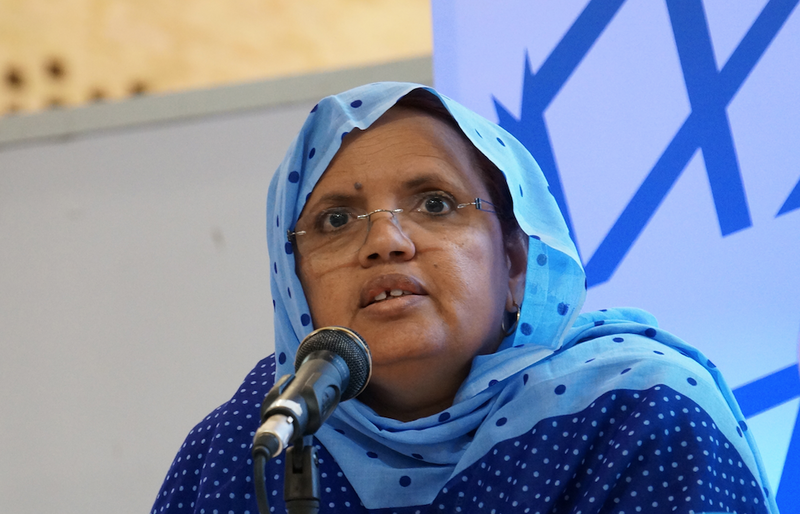 This relationship of proximity can lead us to mobilize citizens and raise their awareness for issues like no one else,” commented Mayor Fatimetou Abdel Malick, from Tevragh-Zeina, Mauritania during the recent ICWC conference. To face the challenge of access to water for all citizens, ICLEI, UCLG, GWOPA, CNM and WWC, have signed an agreement that seeks to gather all mayors and local representatives. The signed Partnership Agreement will serve as an important stepping stone for the preparation and organization of the Local and Regional Authorities Conference to be held in conjunction with the World Water Forum between 18th - 23rd March 2018 in Brasilia, Brazil. A positive change towards water security is approaching thanks to local action!